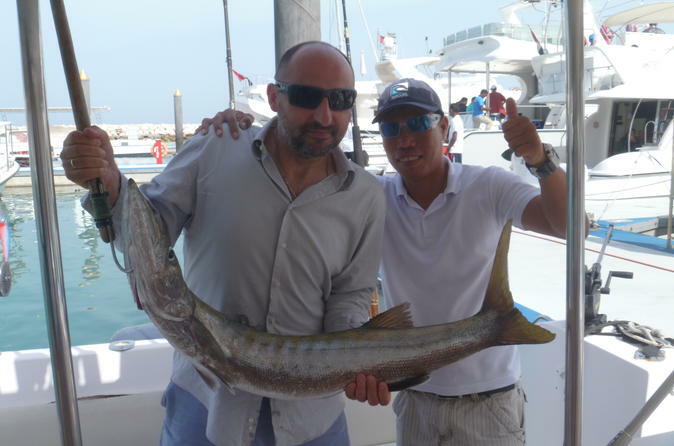 Cruise onto the Arabian Gulf in search of prize fish on this memorable 4-hour fishing trip from Dubai. Aboard a stylish, fully equipped Rustar boat with an experienced captain and crew, sail to the best local sites and fish for species such as king fish, barracuda, hamour and more. Get instructions from the crew, make use of the supplied on-board equipment including bait, and get any catches packed up to take away with you after your trip. Boats can accommodate from two to 50 people at a time.